Speed and transparency are the two biggest advantages to working with Wunder. Over the years, we’ve found that anytime we missed the mark with a partner or project, it was due to basic assumptions being left unstated or unclarified. To that end, we’ve developed this document that articulates some of Wunder’s basic expectations and project requirements. Our hope is that you will read through the document thoroughly, ask questions liberally, and revisit it often so that for every current and future project, we can start from a place of basic alignment and understanding . This will allow your project lead to move substantially more quickly and to feel more confident about their assessment of your project’s eligibility and financing timeline. Again, feedback, questions, or requests for clarification are very welcome. Wunder expects to provide project-level debt to the legal owner of the solar system (“borrower”). The borrower must be a special purpose entity (SPE) created specifically to own the solar system(s) seeking financing. Wunder files an all assets lien against the borrowing SPE, and expects to be the only lender listed on any lien search for the borrower. Wunder expects to be provided with documented evidence of the borrower’s ownership of the system and claim to all revenues. This means that the borrower must be a counterparty to, or assignee of, any PPA or equivalent contract, incentive documentation, and all other project contracts. The borrower must be able to provide an operating agreement or entity bylaws, which clearly articulate all members’ ownership stakes, voting rights, and signatory authority. If the tax equity investment on your project is represented by an outside party that will be looking for specific lender concessions (e.g. forbearance) please bring this up to your project lead as soon as possible. Wunder is able to provide forbearance to the customers via our Loan & Security Agreement. Similarly, PPA escalators that exceed reasonably conservative rate escalation assumptions (~2-3% for most regions) may be devalued depending on the strength of the offtaker. When modeling the system, Wunder caps the amount of power that a system produces at 90% of the site’s historical consumption. This cap may be removed if the solar system has a storage component. PPA agreements must be signed directly or indirectly (via an assignment agreement) by the ‘owner’ and ‘offtaker’ organizations. If you are unclear about which organizations Wunder has identified in these roles, please ask. Actions around PPA termination on the part of both parties are clearly defined. Specifically, termination fee schedule over time is articulated and is at no point lower than the forecasted outstanding principal amount. Clear language is included that articulates the system owner’s (1) right to assign the contract to a third party, (2) right to finance the project, and (3) claim of the system as personal property. Wunder will lend against 90% of the value of one-time Fixed Solar Incentives. For fixed Production-Based Incentives, Wunder will typically value them at their contracted rate. For any market-based solar incentives (i.e. SRECs), Wunder has developed its own assumptions about pricing expectations. We are constantly updating our curve assumptions in response to market data so pricing assumptions may change slightly during the underwriting process. Wunder is typically able to lend more (10 - 20%) when the Borrower has forward-sold SREC contracts through an external counterparty. Offtaker financials are an essential element of Wunder’s ability to underwrite most projects. Wunder requires the three most recent years of financial data (including balance sheet, profit and loss statement, and cash flow statement) from the PPA offtaker. If your offtaker is a public organization, Wunder may be able to acquire financial information indirectly. The financial information provided must be for the same entity as the PPA offtaker. In other words, Wunder is not able to attribute financial information from subsidiaries or parent organizations unless that organization has executed a guaranty or other legal substantiation of financial backing for the child organization. If the offtaker has a recent ‘Investment Grade’ rating from Moody’s, Standard & Poors, or Fitch, this may materially affect the terms that Wunder is able to offer. The offtaker’s operating history, core focus and reputation is important to us. We are typically looking to see that the offtaker has been in business for at least 8 years, does not have a concerning history of bankruptcy or litigation, and is in good standing to conduct business in the relevant jurisdictions it operates in. In addition, certain types of off-takers (e.g. churches, schools) may require additional review criteria. Demonstrated site control is an important part of ensuring that the system will be able to maintain ongoing operation at the project site. In instances where either (a) there is a lender who has an existing claim against the asset or (b) the site owner is in financial distress, Wunder may require either a publicly filed easement or an SNDA from the lender. Site control can also be demonstrated through a number of different contractual mechanisms, but we typically find a site lease, site license, or easement to be the most common form of agreement with the site owner. In this scenario, additional information about the building and/or the building owner may be required. Appropriate termination language in the lease will also need to be confirmed. The site lease must extend at least as long as the term of the PPA. If the site owner is the same entity as the offtaker, site control can be articulated in the PPA. There must be a direct paper trail (document assignments and guarantees if necessary) from legal owner of site and legal owner of system (i.e. Wunder’s borrower). Note: site review is substantially relaxed on projects with offsite consumption dynamics. Wunder focuses on financing solar systems located on sites defined by low long-term vacancy risk. This means that the location is urban or suburban and the building can be used by many different types of occupants. Sites that are deemed to be ‘special purpose’ (i.e. at a higher risk of protracted vacancy) will undergo a higher level of scrutiny and have stricter offtake review requirements. Sites that are general purpose but have many tenants will be reviewed for additional criteria such as current rent roll, vacancy history, and building LTV. Wunder is a commercial lender and does not lend on the basis of personal financials. As such, personal guarantees from any party involved will not serve to improve the offer or likelihood of approval.Wunder will not request personal financials from any individual associated with a possible transaction. Corporate guarantees on a PPA or equivalent contract can be a helpful credit enhancement if the guarantor meets certain financial or operating history criteria that the immediate offtaker does not. Corporate guarantees on the loan itself (e.g. from a parent or affiliated company) will not increase available loan amounts but may be a useful credit enhancement in scenarios where the asset management team has minimal track record with Wunder or other aspects of the deal create concern around debt servicing capabilities. Wunder’s financing offer will be based on expected revenue streams of the solar system, as such, we cannot provide additional financing for building improvements. Wunder is interested in lending against solar projects with a storage component. As such, battery purchase is an acceptable use of proceeds. Wunder does not finance development activities at this time. The earliest project stage in which a partner be able to expect disbursement is at the time of equipment procurement.Please see Milestone Disbursements for specific definitions and more on Use of Funds. Wunder will confirm that all major equipment used in a solar system has industry-standard performance and workmanship warranties. Wunder is not able to finance technologies that have not been deployed in the commercial sector at scale (1 GW+). 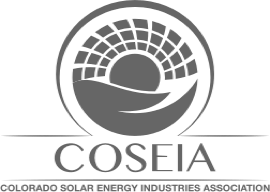 Examples of unapproved technologies include dual axis trackers, floating solar, solar thermal, and solar-integrated buildings. If the installed equipment deviates in any way from the expected equipment, as indicated in final (stamped) engineering designs, please notify your Wunder project lead so that they will be able to advise you about any potential impact to your financing as well as help avoid disbursement delays. Above all, Wunder expects asset management teams to be able to demonstrate a high degree of competence and thoughtfulness when it comes to managing a solar asset. In part, this refers back to the first section and the general assertion that all incentives should be well-aligned. Wunder expects asset managers to be able to speak to a coherent plan for ongoing management, including billing, operations and maintenance, and issue resolution. Capabilities may need to be demonstrated via a number of review items including but not limited to: evidence of cash reserves, O&M provider diligence, and inspection of past systems. Wunder defines ‘Build Team’ as the entity or entities directly responsible for the development and construction of the system. This can include developers, EPCs, and any number of subcontractors. The extent to which Wunder performs diligence on the build team often depends on whether the project will be receiving funding during the construction phase. If the project is not receiving construction financing, Wunder may require the business name(s) and applicable contracts (e.g., EPC agreement) and then rely on the results of an onsite inspection to guide project funding. We understand that sometimes there are many parties involved in the development and installation process and we’ll expect to have a statement of qualifications from any organization who has a part in ensuring the timely and quality installation and startup of the system.